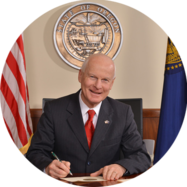 Salem, OR – Today, Secretary of State Dennis Richardson released an audit of The Oregon Liquor Control Commission (OLCC). The audit titled: Cannabis Information Systems Properly Functioning but Monitoring and Security Enhancements are Needed found that OLCC has taken positive steps to establish information systems for recreational marijuana regulation. However, auditors also found several weaknesses associated with the agency’s new IT systems used for marijuana licensing and tracking.